Nice stove from down under, it was the design predecessor of the modern Pacific Energy stove. Stack made high efficiency units for their day. The Vista was a small model designed to heat about 1000 sq ft. In addition to the Vista, there was also a Combi model. 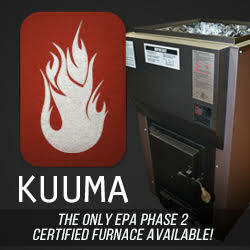 Here are a couple links to the stove manual courtesy of Tom Oyen at www.chimneysweeponline.com. Trivia - Dan Melcon was the importer, and his wife Annie and he ran the company. Dan was a friend of the webmaster (and most everyone else in this biz) , and they had much in common. He passed away from kidney cancer way too young.